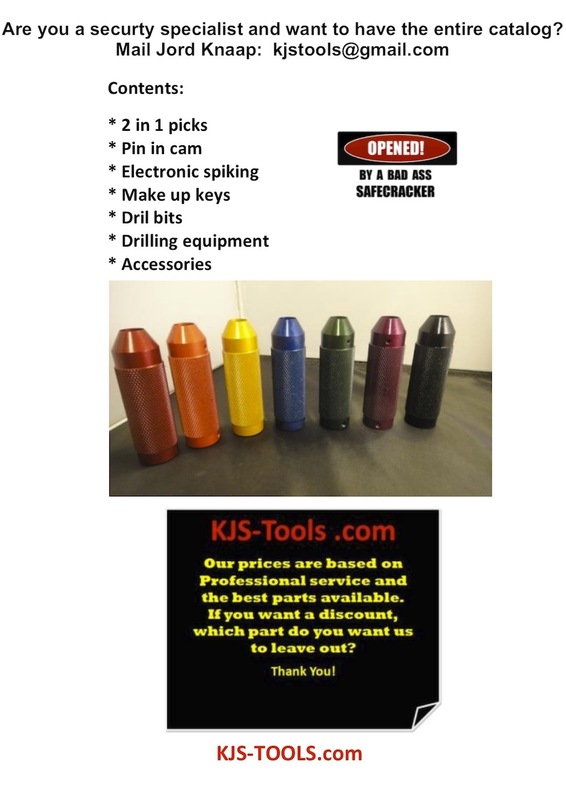 Jord Knaap from KJS tools has come out with a new line of products in his 2014 catalog. With one of his products he solves a problem that is encountered by safe-technicians around the world: how to transport a heavy safe with just one person? Or how to transport a heavy safe without a specialized hydraulic van? Jord solved this with his KJS-safe transporter. And I really like it a lot! With this simple tool just one person can transport a heavy safe. As you can see in the video it’s pretty simple to load and unload and transport it. The nice thing is that you can also use it for transporting other objects the size of a euro-pallet. Jord does not have all his tools available online. If you are a safe-tech (or high-end locksmith) and want his new ‘2014 catalog’ I suggest you contact him directly. Entries (RSS) and Comments (RSS). 43 queries. 0.355 seconds.